I quite like a bit of quality time in the kitchen, making (or just eating) a home-cooked favourite, or trying a new exotic dish. I am also interested in third-world famine, food security, and the environment’s impact on agriculture (and vice versa). So I was quite keen to visit the ‘Our Global Kitchen’ exhibition at the American Museum of Natural History on the weekend. It covered everything from growing food, sustainability, the trade of food, hunger, obesity, cooking, and food’s role in culture and celebration. The displays were colourful and interactive, and I could smell, taste, watch, listen – and learn (photos at end of article). Food is produced in greater quantities than ever before but 30 per cent of food produced is never eaten. We use 40 per cent of the world’s ice-free land to grow crops and raise animals. Some 80 million tonnes of nitrogen fertiliser and almost 4 million tonnes of pesticides is used every year. Cassava – grown in tropical regions – provides food for 900 million people (about 400 million people get more calories from cassava than from wheat and rice). The domestic chicken’s nearest ancestor – the Red Jungle Fowl in south east Asia – yields 12 eggs a year. Domesticated chickens produce 200-300 eggs per year (one was known to produce 364 eggs in a year). In many parts of Asia and the Middle East, sheep tails are not cut off (as is standard elsewhere), and let grow until they are large and fatty as they are prized in cooking. The tails can get so big they have to be dragged behind the sheep in special carts. Most wild watermelons were originally small and bitter but slowly breeders made them into ‘huge balls of sugar and water’. 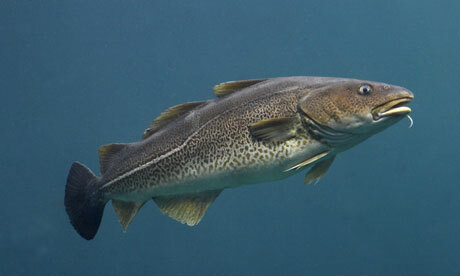 In the 1890s, Atlantic Cod used to be 6ft long. Then humans starting fishing them, and catching them at such a rate that they didn’t have a chance to get big before being caught. In the 1970s they averaged 2ft, and in the 1980s 18 inches. The Scoville Index measures spiciness in peppers called a Scoville Heat Unit (SHU). It informs how much ‘sugar water’ a pepper needs to be diluted in before the heat can’t be tasted. A red pepper has an SHU of zero; a jalapeno 1500; a Thai green 60,000-70,000; and a Trinidad Moruga Scorpion needs to be diluted in an estimated 2,000,000 units. More than one-third (35 per cent) of all crops go to animal feed. At Lake Condah, in western Victoria, is an ancient aquaculture site established by indigenous Australians, with carbon-dating showing the fish trap system there to be 6700 years old. Women make up more than 40 per cent of the agriculture labour force in developing countries. In the US, up to 80 per cent of the antibiotics given annually go to food animals. Built into permafrost on the Norwegian island of Svalbard are the underground chambers of the Global Seed Vault. It can store up to 4.5 million seed samples from food crops and their related wild species; reserves should politics, war, climate change or other factors cut off access to those stored in less-remote seed banks. China is the world’s top food importer (84.8 billion tonnes in 2009; next biggest Germany at 47.1 billion tonnes). The world’s top exporter is USA, exporting 157.7 billion tonnes in 2009 (Brazil next biggest at 80.1 billion; Australia 9th, exporting 30.6 billion tonnes). In Egypt, 69.8 per cent of the population is overweight, compared to 69.4 per cent in the US; 61.5 in Great Britain; 61.3 per cent in Australia; 49.2 per cent Italy; 25 per cent China; and just 11.2 per cent in India. Although the caloric intake available daily per person in Australia is lower than for USA and Britain, Australia’s average weekly food bills is more than each of these countries. 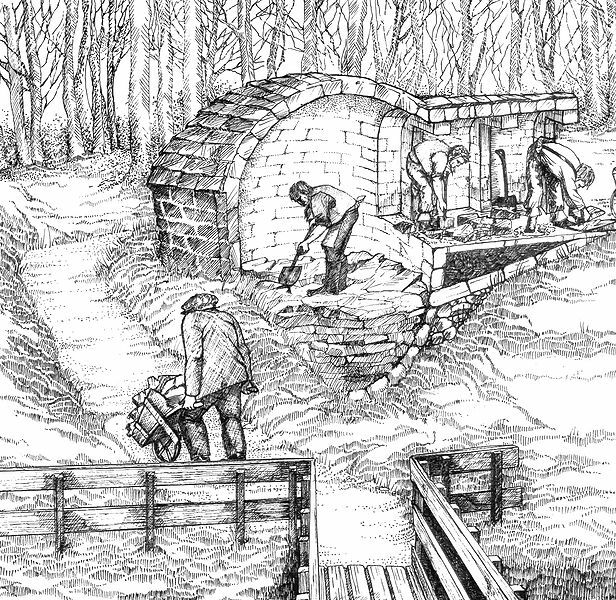 In Jane Austen’s era, before electric refrigeration, well-to-do English families with large estates could have ice cut from frozen ponds and packed into an ice house: a sunken, shaded shelter that kept the ice cold in summer months. In the time of Aztec ruler Moctezuma II, cacao beans were the currency. One bean would get you an avocado; 30 beans a rabbit; and 300 beans a large turkey. I highly recommend the exhibition to anyone in New York – but be quick as it is only on until 11 August 2013. Snapshot of Australian food intake and expense. Model of crop plantation in Africa. Wow Amy, I would have loved to have visited the exhibition with you. Thanks Helen — it was very interesting and I’ve only captured probably a quarter of the topics. Maybe we can go to the museum another time!